At 11.00 am on 16th December, 2016 in Room 1 of Zamoskvoretsky court at 1, Tatarskaya Street, Moscow, the lawsuit filed by International Memorial Society against the Ministry of Justice of Russia will be heard. International Memorial Society is contesting the order of the Ministry of Justice for the inclusion of their organisation in the register of non-profit organisations, acting as "foreign agents". 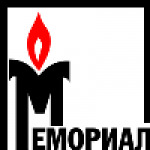 Memorial is one of the oldest civil society organisations in Russia. It’s main purpose is keeping alive the memory of victims of political repression. "Foreign agent" was one of the most common labels for "enemies of the people" in Stalinist times and has been used against dissenters in more recent times. Today this tag is back and, as in former times, is used without any substantial claims against the activities of those organizations arbitrarily included in the register of "organisations, acting as foreign agents." The legal case of International Memorial Society rests on the position of the Constitutional Court of the Russian Federation, noting in its decision No.10P, dated 8th April 2014, that "a non-profit organization — in order to be considered to be operating as a foreign agent — must be a Russian non-profit organization, which excludes from the category of ‘foreign agent’ NGOs international or foreign organizations, including their representatives (filial branches), opened on the territory of the Russian Federation." According to the officials of the Ministry of Justice, Memorial is misrepresenting the position of the Constitutional Court and, in fact, the Constitutional Court had in mind only those organisations established and registered in foreign states. International Memorial Society was registered in Russia. Apparently, the Ministry of Justice considers those international organisations which have been created and registered in Russia as not quite "international". The Ministry of Justice considers the public statements of Memorial, to be "political activities" of that organisation. Memorial, however, considers them to be a manifestation of the right to freedom of expression as guaranteed by the Constitution of the Russian Federation.